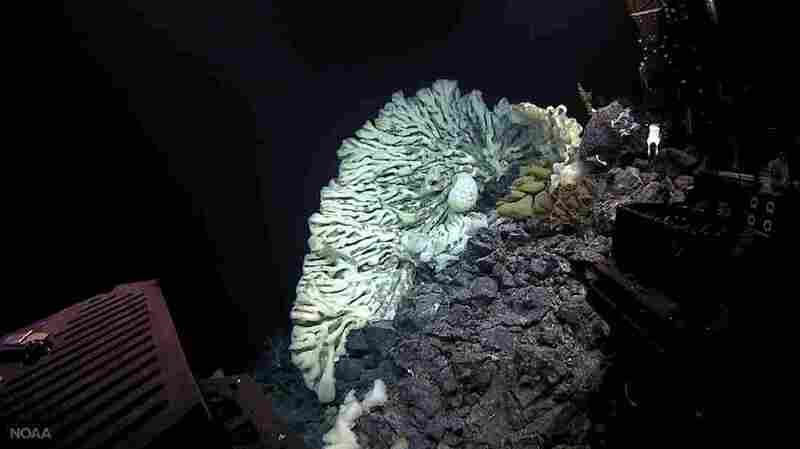 Deep Sea Explorers Discover A Sponge The Size Of A Minivan : The Two-Way The deep-sea researchers were surveying an ocean ridge near Hawaii. "Where did this guy come from? Holy cow!" said one researcher when he saw the huge sponge. They say it's the largest ever recorded. A sponge the size of a minivan, the largest on record, was found in summer 2015 during a deep-sea expedition in Papahānaumokuākea Marine National Monument off Hawaii. 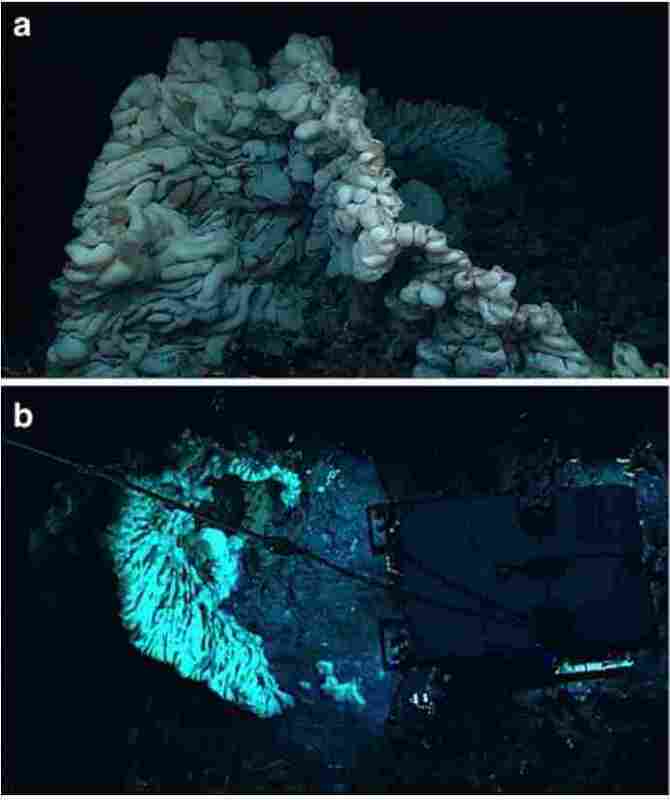 The deep-sea researchers were surveying an ocean ridge off the coast of Hawaii in 2015 and amid ordinary ocean floor fare — a bit of coral, some volcanic rock — they came across something surprising. "Where did this guy come from? Holy cow!" one researcher said to his colleague. During the moment caught on camera, the brain-like curves of a sponge about the size of a minivan came into view. As one of the scientists exclaimed in the video, "This is the largest thing I've seen underwater." Now, a new study reports that it is the largest sponge ever documented, at about 11.5 feet long, more than 6.5 feet wide and 4.9 feet high. That's about the size of a minivan. In the video, the researchers immediately voiced their suspicion that it could be the biggest sponge in the world. According to the study published in Marine Biodiversity, it was discovered in the northwestern Hawaiian Islands during an expedition of the Okeanos Explorer — the "only federally funded U.S. ship assigned to systematically explore our largely unknown ocean for the purpose of discovery and the advancement of knowledge." "The finding of such an enormous and presumably old sponge inside the Papahanaumokuakea Marine National Monument underscores the need to protect this area using the highest conservation measures available." It adds that sponges are difficult to date, but some species in shallow waters could live for more than 2,300 years. The researchers also stress that this find highlights how much remains to be discovered in the deep seas: "We're going to all these places that we've never been before, going to depths that we haven't been before, so we don't really know what we're going to find."